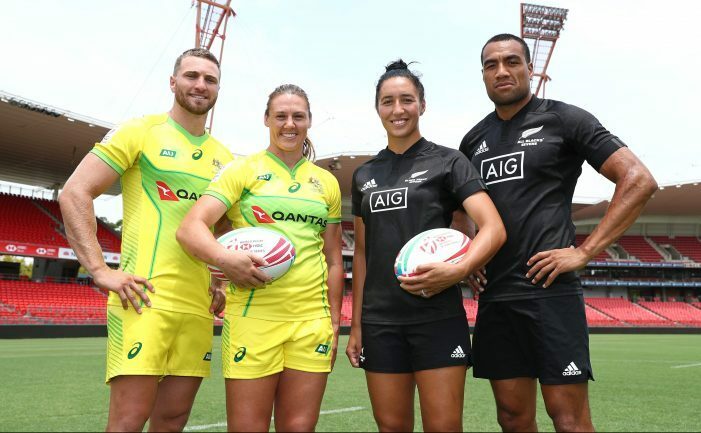 New Zealand, Ireland and defending champions Australia topped their pools after a day of upsets at the HSBC Sydney Sevens at Spotless Stadium on Saturday. The Black Ferns Sevens, who have now won 33 consecutive matches on the series since their Cup final loss in Sydney a year ago, were the only side with a perfect record after seeing off the challenge of France, England and invitational side Papua New Guinea to top Pool A.
Russia’s win earned them a meeting with USA, who bounced back from a surprise loss to Spain in round two to defeat Australia 19-12 in the Pool C decider. Ireland, as Pool B winners, will take on Spain in the third quarter-final after Las Leonas were one of three teams tied on seven points in Pool C but with a worse points difference than Australia and USA. 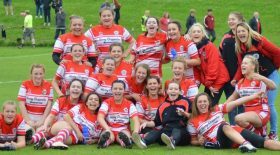 In the Challenge Trophy, England will play Papua New Guinea in the first women’s match of the day at 12:06 local time (GMT+11), followed by Fiji’s encounter with China. France came out of the blocks firing against England with Anne-Cecile Ciofani crossing for two quick tries, one a long run in and the other a pick-up from close range. Caroline Drouin and captain Fanny Horta then crossed either side of half-time, before a fantastic line from Alex Matthews finally took England into France’s half with a 70-metre try. Megan Jones broke to give Emma Uren an easy score but Horta had the final say with her second try securing a 27-14 win for Les Bleues. New Zealand initially encountered some resolute defence from invitational team Papua New Guinea before captain Sarah Hirini dotted down, but the Palais had the crowd on their feet soon after when Fatima Rima had the pace to outrun Michaela Blyde and acrobatically score a try. The Black Ferns Sevens, though, ran in five further tries, many of them down the middle, with Niall Williams and Ruby Tui among the scorers in a 38-5 win. England bounced back from the loss to France with a 36-5 defeat of Papua New Guinea, Celia Quansah and Claire Allan both scoring braces in a match that once again saw the Palais score a try from their own half, this time Cassandra Sampson spotting a gap to run down the touchline. France have never beaten New Zealand in 20 attempts on the series but they began brightly with Chloe Pelle cancelling out Blyde’s opening try. However, a yellow card for Ciofani gave the Black Ferns Sevens the upper hand and they stormed to a 31-7 victory with Stacey Waaka – who had scored two hat-tricks against Les Bleues in the invitational Fast Four tournament in Hamilton last weekend – among their try-scorers. The form book was ripped up in the second round with Fiji powering past Russia 21-12 before Ireland recovered from 14-0 down to beat Dubai runners-up Canada by a solitary point. Luisa Tisolo, playing her first tournament of the series, ran in two of Fiji’s three tries in the defeat of Russia to boost their chances of a first Cup quarter-final of the season. Canada made the perfect start with early tries from captain Ghislaine Landry and Breanne Nicholas, but Hannah Tyrrell began the Irish fight-back before half-time. Ireland dominated the second half and were rewarded with further tries by Louise Galvin and Murphy Crowe to beat Canada for the second time in 14 meetings on the series. The USA needed a huge second-half effort to overcome China in their opening match with tries from Joanne Fa’avesi, Kris Thomas and debutant Kristi Kirshe securing a 26-10 victory. China had scored first when Lui Xiaoqian ran around the defence, before Naya Tapper equalled the USA series try record with her 64th score. Lui Xiaoqian’s second was the best of the match, Chen Keyi putting through a perfectly weighted kick for her to run onto and acrobatically dot down under pressure from two USA defenders. Defending champions Australia also had a difficult opener, the hosts being held scoreless at half-time by Spain before Ellia Green sidestepped Amaia Erbina to run in the first try. Emma Sykes and Evania Pelite added tries to wrap up the 19-0 victory. Thomas raced away to give USA the lead against Spain in round two, but the Women’s Sevens Eagles were caught napping at the restart as teenager Lide Erbina came from nowhere to gather the kick and run in for a try unchallenged. Kirshe put the Glendale runners-up ahead again, but a great offload from Iera Echebarria sent co-captain Marina Bravo over with Patricia Garcia nailing the conversion to tie the scores. Garcia then lost the ball over the line in the tackle, but made no mistake a minute later to secure Spain a 21-14 win – their first over USA since Sydney last year. Australia hit the ground running against China, Pelite and Alicia Quirk crossing in the first two minutes to give them a lead they never surrendered, although they did concede their first points in Sydney since the 2017 event when Gu Yaoyao broke through late on. USA knew they needed to beat Australia, as they had in both Glendale and Dubai this season, to guarantee their quarter-final spot and they produced a dominant first-half display to lead 19-0 with tries from Jordan Gray-Matyas, Kirshe and Tapper. Australia were stunned and simply had no answer, although they did rally with two late scores through Pelite and the returning Tonegato. That proved to be enough for top spot after Spain battled past China 14-12 in the final match of the day, Patricia Garcia crucially converting both her own and Echebarria’s tries against the Asian side who had shown how their game has developed in their time back on the series as a core team.